The Prize of the Public contest ended on July 4, creating a lot of interaction and engagement on social media globally. The contest page, organized via the SCIA’s Facebook, was visited by over 10,000 people and the participating projects received over 2,700 votes in total. The Prize of the Public contest is a key part of the SCIA User Contest 2017 that is celebrating the 10th anniversary. 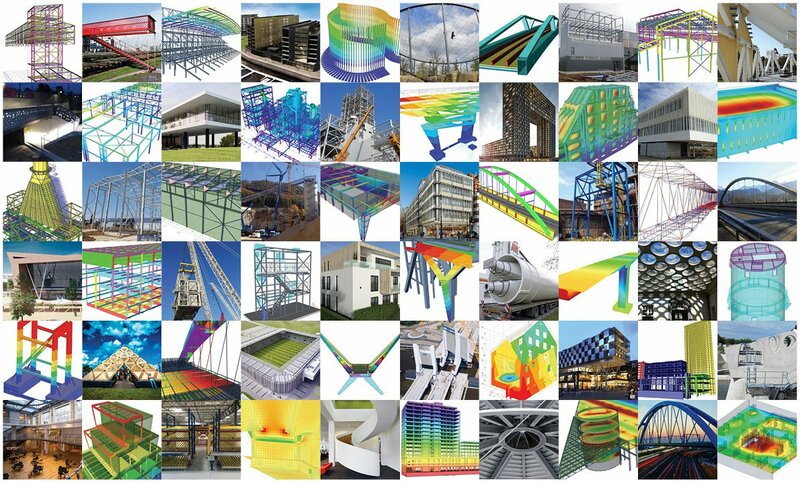 This year, 124 international projects participating in the contest were showcasing the great work of structural engineers that was realized with the help of SCIA Engineer software. All projects were unique and interesting. Centre Point is a famous landmark located in the heart of London. Today, the building is undergoing a large-scale transformation, converting the space into a sustainable mix of 32,000 sqm of high-end residential units and 8,000 sqm of prime retail space. It is engineered by Pell Frischmann, a diverse engineering, development and management consultancy firm. Extended basement and removal of two entire floors to allow for new double height retail spaces. Works were carried out with the residents still occupying the building. A new piled raft had limit pressures on the new Elisabeth line tunnel.